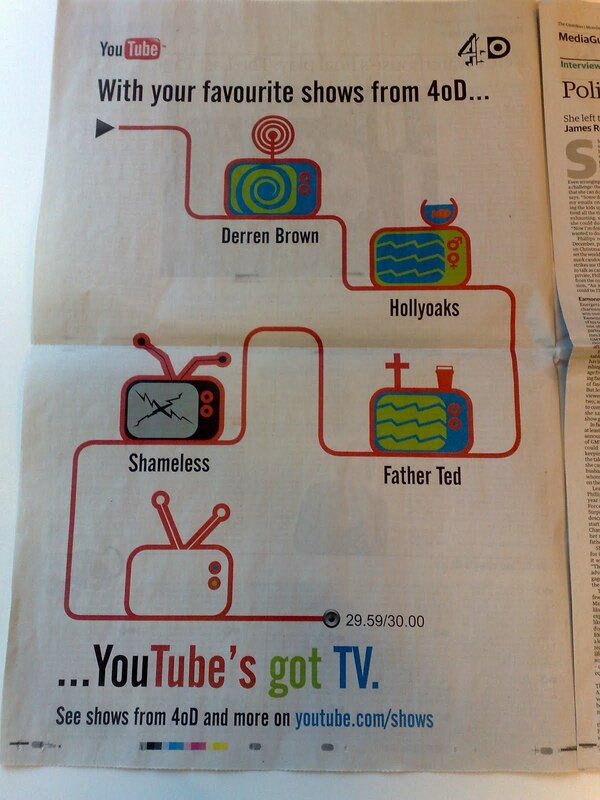 YouTube have started advertising in UK newspapers. 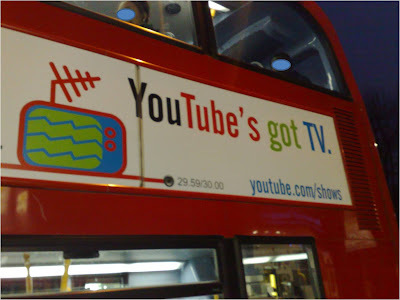 The Guardian newspaper yesterday carried a YouTube ad highlighting the fact that full length Channel 4 (4OD) TV shows are now available for free on the YouTube platform. The YouTube newspaper ad pushes to a section of YouTube called 'Shows' (www.youtube.com/shows) and this area features full length 4OD programming as well as clips from shows like the X Factor and YouTube celebrities like FRED. Google have traditionally shied away from above the line advertising for consumer offerings, instead relying on word of mouth to generate interest. 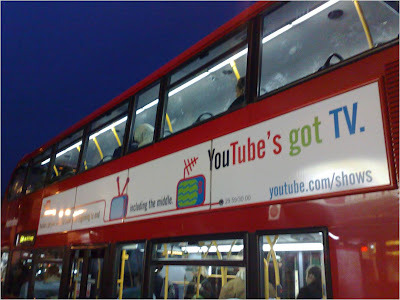 However, YouTube appearing in newspapers and buses is not a regression to the frivilous dotcom advertising at the turn of the century, more recognition of the need to quickly build awareness and audience for the professional content now available. If YouTube is to be viewed as something other than a place for viewing piano playing cats then this sort of ad campaign is important - however it's interesting to note that the so called 'dying medium' of print is being used to push people into the future! Just on the use of print - we chose specific titles to reach media people (media guardian) and an the right audience in the right environment (metro)rather than selecting "press" specifically. I'd like to think that fewer and fewer campaigns now start with selecting media channels and leaving it to relevant media buyers to simply book a schedule. I saw the bus ad last night, and took photos which I will use to update this post shortly. Also thought it was interesting to see YouTube advertising in newspapers, whereas the Sun is using viral content on YouTube to promote it's print products!